Rio Tinto has officially opened its Amrun mine in Queensland that will produce 22.8 million tonnes of bauxite annually. 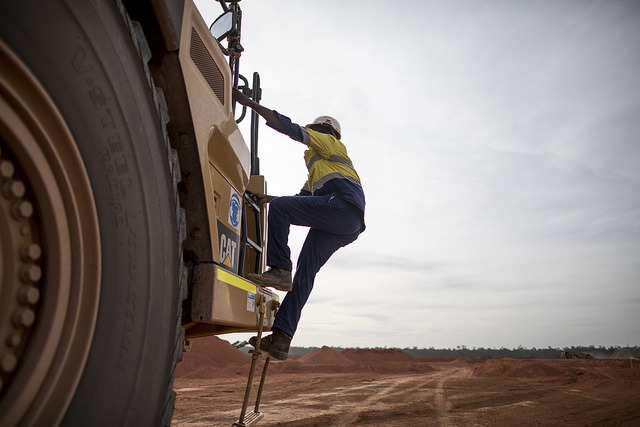 Located on the Cape York Peninsula near Weipa , the new $A2.6 billion mine will replace production from the company’s depleting East Weipa mine and extend the life of Rio Tinto’s Weipa bauxite operations by at least four decades. Rio Tinto chief executive J-S Jacques said the mine will help increase Rio Tinto’s annual bauxite export capacity by around 10 million tonnes at a time when higher-grade bauxite is becoming scarcer globally. “Amrun was completed early and under budget, demonstrating Rio Tinto’s productivity and innovation capabilities. By applying fresh thinking we also delivered safety, environmental, cost and timing benefits,” Mr Jacques continued. Queensland Premier Annastacia Palaszczuk said the project is supporting hundreds of jobs across the Cape and injecting millions of dollars at a local, State and national level. “Rio Tinto’s Amrun bauxite mine and Weipa operations have secured more than 1300 jobs for the Cape, including 349 Aboriginal and Torres Strait Islander people – as well as jobs at Rio Tinto’s Gladstone refinery,” the Premier said. “This is a great day for the entire region, and my Government will continue to support the resources sector.